Though research for my books takes me to 1830s magazines online, I’m obviously not immune to wandering into other eras. I’ve ventured into the pages of The World’s Work, for instance, to report on automobiles and inventions (here and here). It’s been interesting to see the way magazines change and the way they don’t. In the 1820s and 1830s magazines, I found lots of poetry, much of it lugubrious (as you'll discover in the pages of my latest book). 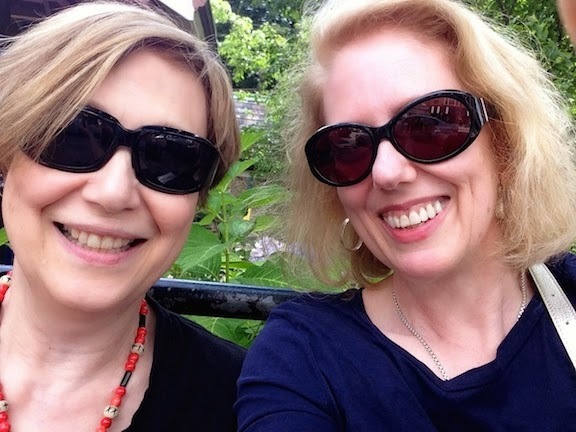 But there were comic poems, amusing anecdotes, and jokes, too. 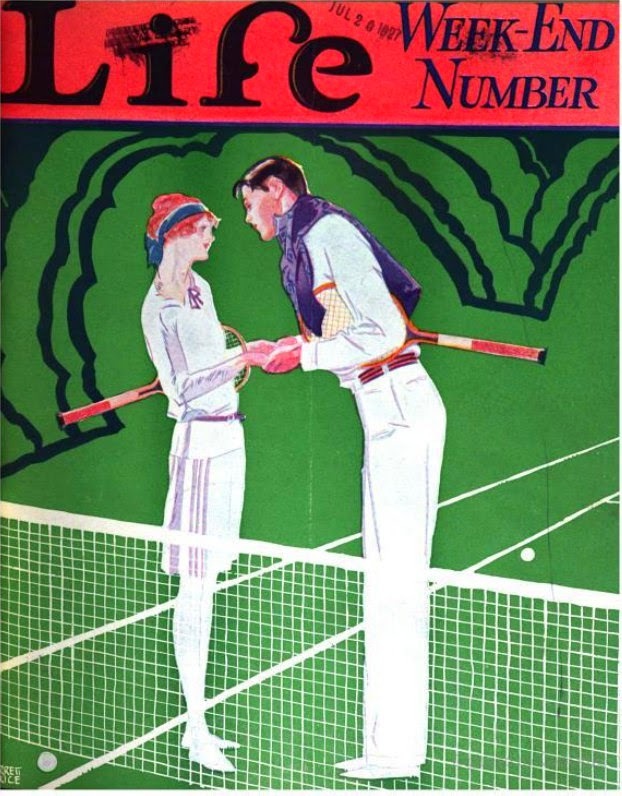 The 1920s magazines seem to be less enamored of tragic verse. 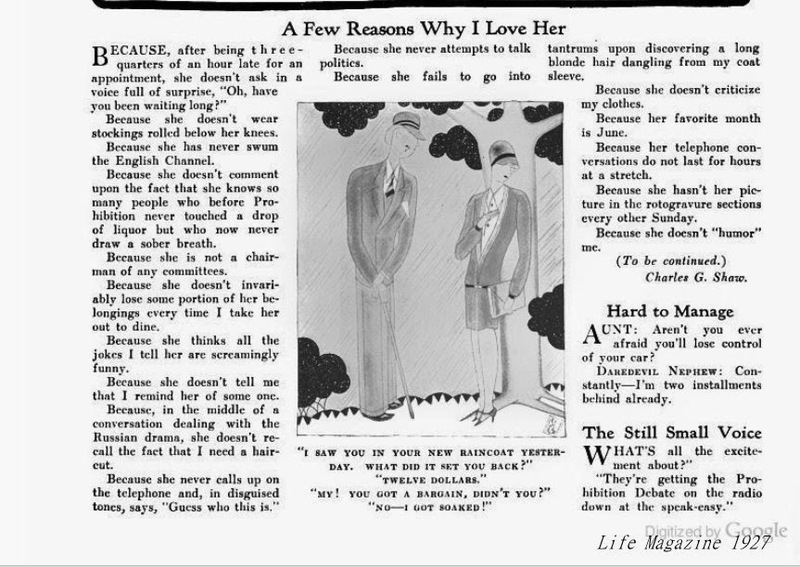 "A Few Reasons Why I Love Her" comes from a 1927 Life magazine, which gives the bulk of its space to humor, and includes pieces by Robert Benchley and Dorothy Parker, among others. I wonder how many of these points a man of today might consider applicable. Clicking on the image will enlarge it. Clicking on the caption will take you to the Google books page where you can enlarge more.